Greetings investor! It's time to become a billionaire and build your empire! 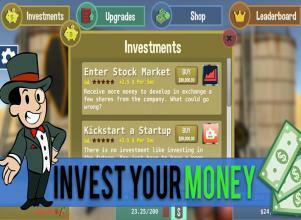 Are you ready to become an oil tycoon capitalist? Head your well in the desert and start pumping out oil like never before. 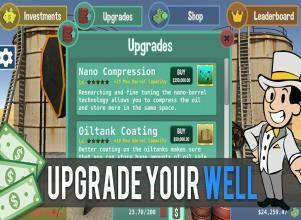 With upgrades to your well you'll earn while idle and offline. 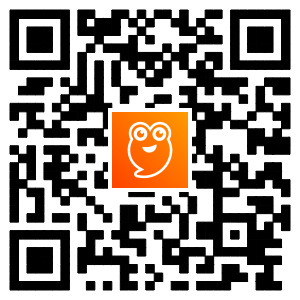 Earn money and be the CEO of your business, you're the boss. 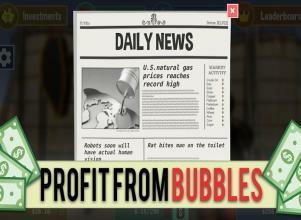 Part of the oil tycoon is starting it off small and working hard to build your oil empire. You have to click away and extract that oil. You can store the oil until the prices rise, be careful to not sell when it bottoms out though. Once you start earning money you can upgrade your oil well so you earn while idle and offline. 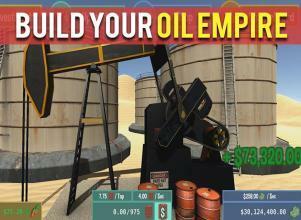 FEATURES ★ Become an oil tycoon capitalist ★ Make idle money even when you're not in the app ★ Earn more money with upgrades ★ Invest your money to earn even more when you're gone ★ Awesome graphics and animations ★ Experience capitalism at its finest as you build your empire ★ An amazing idle and clicker game Extract oil! Build your empire with upgrades! 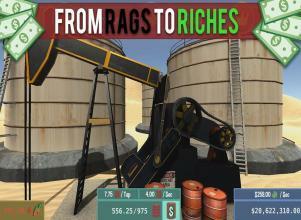 Become an oil tycoon! It's the black gold you're after and it will make you that green paper! You're an oil tycoon capitalist. We want to make Big Oil the best game we can so we value your feedback. Let us know your thoughts and suggestions so we can improve the game. Thank you!